A stock aircraft called Ahti II. 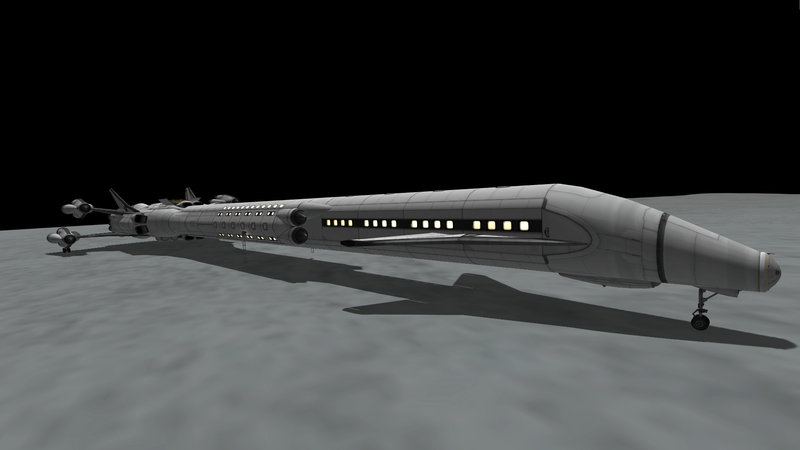 Built with 303 of the finest parts, its root part is mk3CrewCabin. 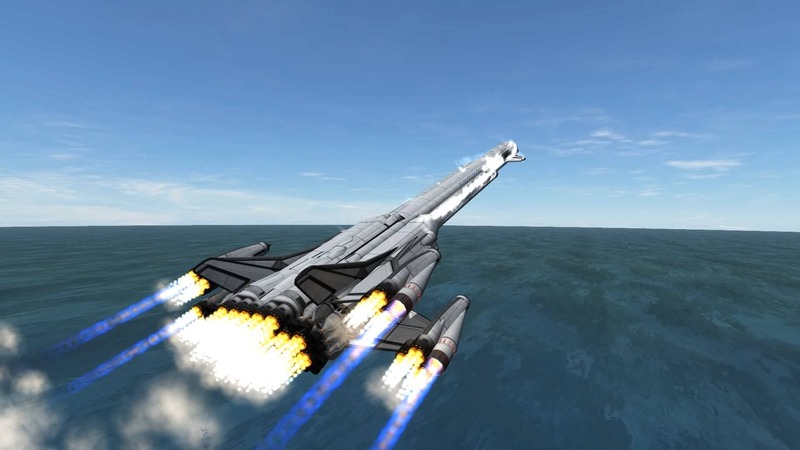 Capable of taking 136 Kerbals to LKO with approximately 4800 dV left for interplanetary travel. Two front adapters have oxidizer locked. Resource priorities are set so that peripheral tanks drain first. The plane has two sets of landing gear: extra large for landing and take-off and medium for base operations, docking and towing. You might need to tweak the height of the smaller ones for perfect port alignment for ground docking. Start pitching up when the front landing gear reaches those two big white squares at the end of the runway. Too soon and you’ll engines will hit the the runway, too late and you’ll hit the ground. There’s is some tolerance, however.